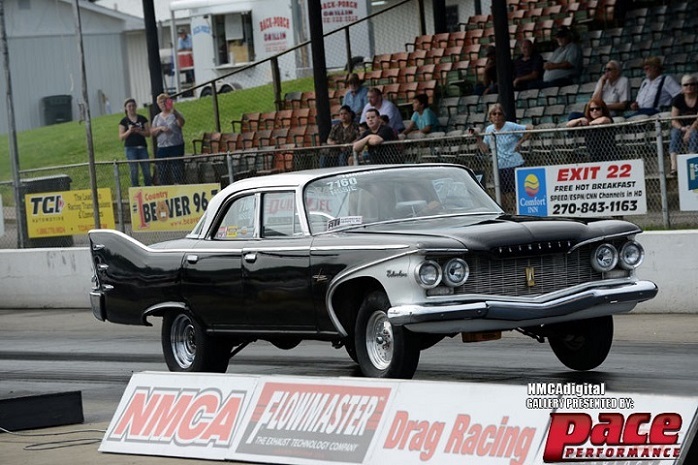 This car has been used the past several years for drag racing in the popular Nostalgia Super Stock series. It is legal in NMCA and Victory organizations. It runs the 12.00 second index (has run 11.75) and is very consistant and reliable. It gathers much attention with fans and racers. It is street legal (must change to DOT legal tires) with alternator, mild cam, converter and gearing. -470 CID low deck big block engine (400 block with stroker crank), Aluminum main caps. limited street miles. 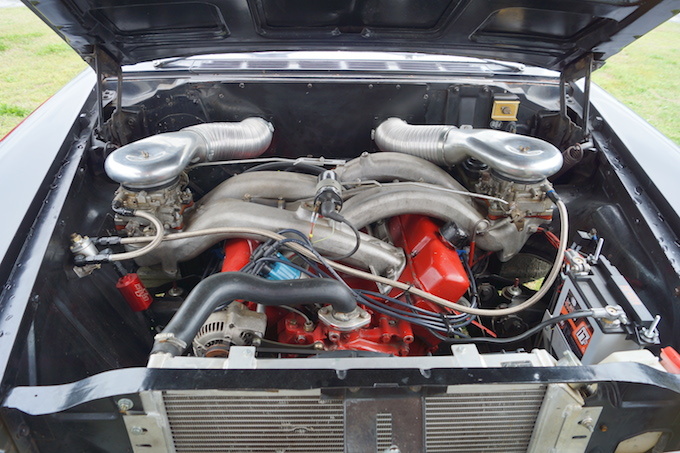 -Factory (not original) 'Short' Long Ram induction with dual Carter Competition 500 CFM carbs. Has fresh air induction (cowl intake) or stock reproduction air cleaner housings. -Sanderson ceramic coated block hugger headers, 1-7/8" primaries. -4 wheel disc brakes (AAJ w/Wilwood calipers front, Strange rear), adj. porportioning valve. Line loc on front brakes. -16 Gallon fuel cell, electric fuel pump (Mallory) with priming switch. -Older lacquer re-paint (stock colors), very presentable for a driver or racing. Location: North Australia At the current exchange rate this car is around $21200 Aussie Peso's. If it was not on the other side of the planet I would be ringing you Al! Nice car, the new owner will be smiling climbing behind that steering wheel. Good luck with the sale. I hate to see you leaving the '60 Plymmer fold, especially after all the work you've done on the homepage. Good luck on your new endeavor..